Over the relatively short life of the Internet, many sophisticated technologies, such as the Domain Name System (DNS), have evolved to make the convenience that we’ve come to expect from the Internet possible. As one of the oldest and most relied-upon protocols of the modern Internet, DNS is the cornerstone for almost all other services and protocols. Unfortunately, its centralized role in Internet connectivity also makes DNS an appealing target for a growing range of malicious and costly cyberattacks. In an increasingly connected world, knowledge of DNS security is increasingly essential. 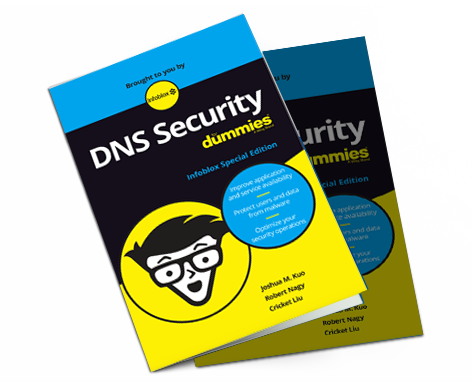 Request your copy of DNS Security for Dummies Infoblox Special Edition today and get the fundamental information you need to fortify your DNS defenses..